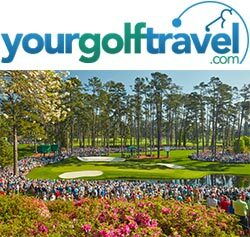 Your Golf Travel (YGT) have released their latest experiences for The Masters 2020 and with the 2019 tournament imminent, golfers can now secure their place as a Patron at Augusta National next year with a £200 deposit; experiences start from just £1,895. With over 13 years of experience, YGT has established itself as the true tournament travel experts with record numbers attending the 2018 Ryder Cup and 2019 Masters. The Team at YGT have worked relentlessly to refine these bucket list experiences and in 2020, their offering will be more comprehensive and diverse than ever. Customers are able to select a range of holidays which include both practice day and weekend tickets, the Ladies Amateur event, plus experiences including direct return flights, accommodation, new five-star luxury hospitality, star-studded parties and flawless on-site concierge services with access to all local courses. YGT customers can now also choose from five host destinations, completing their Masters experience by playing some of the USA's finest golf destinations such as Kiawah Island, TPC Sawgrass, Pinehurst North Carolina and Harbour Town Golf Links, where the PGA Tour visits the week after The Masters. Your Golf Travel recently expanded internationally and acquired GolfThere in November 2018, a major player in US golf travel. Now rebranded, Your Golf There is part of the $20 billion American golf travel market and boasts over 2,000 suppliers along with an annual turnover of $8 million. Your Golf There will be promoting an extensive selection of European Tour and PGA Tour tournament packages for the 2020 season with unrivalled access. YGT holidays deliver award-winning customer service, ABTA and ATOL protection and the company boasts a 9.3 “Excellent” TrustPilot Rating. Your Golf Travel has been at the forefront of the world golf travel market since its inception in 2005, during which time the company is proud to have overseen and co-ordinated bookings and tee-times for a phenomenal 2.5 million golfers, to over 3,000 destinations in 24 countries around the globe.